People spend a lot of money on purchasing products like beauty creams, personal care products and for relaxation purposes. 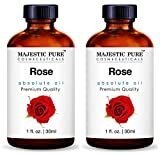 Essential oils are chemical free and natural alternatives to conventional cosmetic products and fragrances. Listed here are 15 essential oils and their benefits. It has several health benefits like removing congestion and phlegm from bronchial tubes, eliminating fatigue and improving concentration and alertness. It is also great for improving memory. 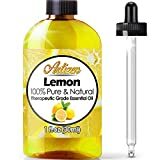 Artizen Lemon Essential Oil (100% PURE & NATURAL - UNDILUTED) Therapeutic Grade - Huge 1oz Bottle - Perfect for Aromatherapy, Relaxation, Skin Therapy & More! 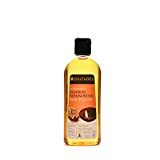 It is great for skin and hair rinse and is hence a popular skin care trend. It is also a mood enhancer which refreshes and makes the person energetic. It has cleansing, antiviral and antiseptic properties and also works well to cool the body. Neem oil is good for prevention of hair fall and also improves the growth of hair. It also destroys head louse. It removes phlegm from bronchial tubes and also eliminates flatulence. 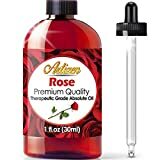 Artizen Rose Essential Oil (100% PURE & NATURAL - UNDILUTED) Therapeutic Grade - Huge 1oz Bottle - Perfect for Aromatherapy, Relaxation, Skin Therapy & More! This is a popular ingredient in several beauty products. It has a soothing and cool fragrance and is excellent to treat depression, remorse, and hysteria. This oil is extracted from sweet orange and is used for its anti-depressant properties. It has a wonderful aroma that livens up the atmosphere. 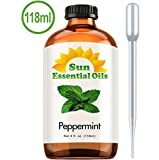 This oil has moisturizing properties and is beneficial for soothing dry scalp and itchy skin. 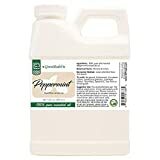 It restores moisture to skin and is often used in combination with carrier oils. 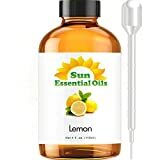 It also provides relief for migraines and is often included in hair solutions or hair loss tips. 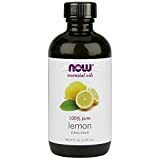 This oil is an ideal stimulant and improves libido. It also strengthens and helps in proper functioning of the stomach. This is exotic and sensuous aromatic oil that is widely used to induce relaxation and to treat impotence. 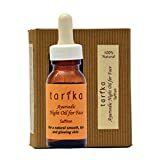 This is anti-inflammatory oil that eliminates cracked and inflamed skin as well as is extremely beneficial for the skin in treating dermatitis, eczema, and acne. 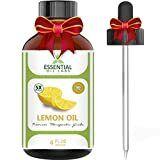 This oil offers a good treatment to fight lice, getting rid of dandruff as well as to cure acne and oily skin. This is a popular essential oil that is being used since the olden times for its several beneficial properties. 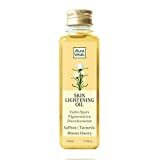 It helps in curing dry skin, treating acne as well as removes stretch marks after pregnancy. It is a common skin care trend that is here to stay. This oil is known for its aromatic properties and is good for deodorizing purposes and is a common ingredient in deodorants. It has a wonderful and fresh aroma that is stimulating and refreshing to the senses. It has the ability to keep the body and spirit awakened with energy. 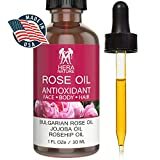 This oil is often used as an aphrodisiac as well as an anti-depressant. It promotes positive emotions with its rich floral aroma. It smells similar to Jasmine and is known for its sweet smell. It is an anti-depressant, good relaxant for a body, removes tension, stabilizes mood swings etc. It is also used for treating hair loss as well as to balance dry and oily skin.